Stag Saor Kolsch Style has a gentle hop and malt character, a classic German style of beer brewed with German Nobel Hops, Premium Irish and German Malt and German Yeast. This gluten free beer sees extended cold lagering resulting in an easy going crisp and refreshing beer. 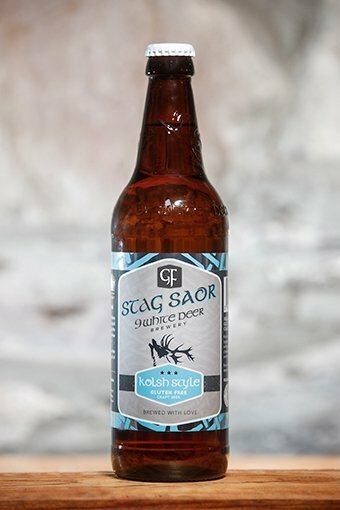 Stag Saor Kolsch style was Ireland’s original gluten free beer and inspired us to develop an entire range of gluten free beers which can be enjoyed by everyone.